Christina is interested in weak gravitational lensing, specifically shear and magnification measurement, for the purpose of mapping the distribution of matter in the universe to discover how structures form and evolve over time. She’s currently working on adapting shear code to work on DES images and creating simulated data on which to test the code. 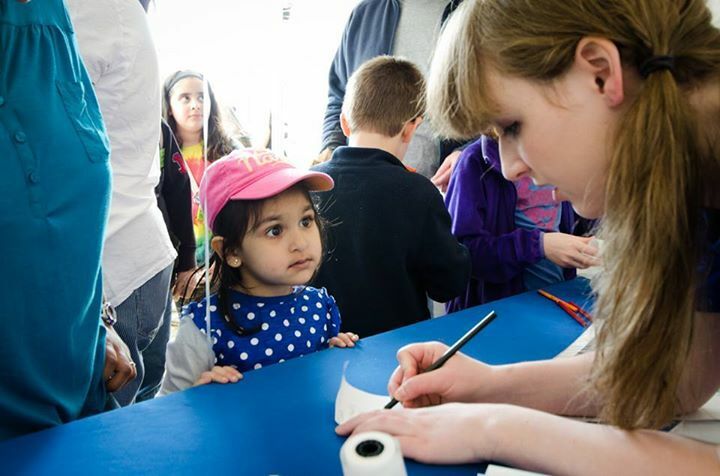 What’s your favorite part about being a scientist? My favorite part about being a scientist is the environment I get to work in. Not only to I get to learn about exciting things in DES, but I work near people who are involved in completely different projects as well. I love learning new things, so hearing what’s happening at the LHC or talking about a new way to detect Lyme disease is refreshing and keeps me inspired in my own work, so I can share it with as much excitement as they do. I decided to be a scientist in high school. I had a deep interest in the way the world worked and was extremely frustrated with the unknown how’s and why’s of the universe. I went to a Catholic high school and struggled with the intersection between religion and science. So in college I studied astrophysics because I thought it might give me some answers as to what the world looks like in an objective way. I found it to be a good fit because I can think about philosophical questions and feel like I’m actually taking steps to answer them. I love to dance! I took lessons in ballet, tap, modern, etc. until I went away to college. I still try to find the time to take classes in Philly. It’s a great way to clear all the muck away from your brain and focus on having fun and being creative. I’m a really big fan of older movies, especially ones based in fantasy. I love Willy Wonka and the Chocolate Factory and The Wizard of Oz. I like silent horror films too: Nosferatu and The Cabinet of Dr. Caligari are two with pretty big creep-factors! I like a movie that makes me feel like I’m in another world. 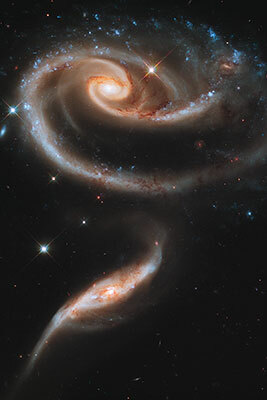 I’ve been really into this Hubble image of the galaxy pair Arp 273 lately (It’s currently my desktop background). It’s just absurdly beautiful and kind of astounding that the universe can be so aesthetically pleasing. The two galaxies really put into perspective how huge the scales we deal with are. The spiral also reminds me that even though I’m sitting still, our solar system and all the stars around us are swirling around in this big mass of dust and gas.